Properties in Osaka Prefecture average 4.3 out of 5 stars. Property 11: Nearby Osaka Umeda! 4min walk to sta. Property 13: 51Doutonbori 2 mins,nearby Namba! 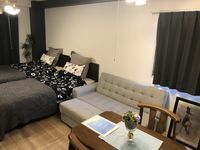 Property 23: H # 66 Only 7 minutes walk from Namba Station.It is a comfortable room with easy access within walking distance to Dotonbori Shinsaibashi. 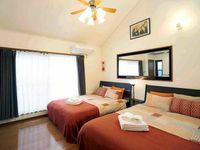 Property 25: Guesthouse Chiharu!It is within a 10-minute walk from JR Teradamachi Station! Property 42: C#5 Best Location! 5 mins to Namba Sta. Property 43: Designers Condo5min to subway.